If you are interested in learning how the iPad can assist you in EVERY lesson, you will want to secure your copy of The iPad Piano Studio: Keys to Unlocking the Power of Apps. As it is now distributed by Alfred Music you can find the book at your local music store. Click here for pics and descriptions of what you will need depending on the age of your keyboard and iPad. Note: it’s become apparent that the cables needed to connect an iPad to a keyboard can be difficult to prescribe. Please email me at lviss@me.com if you have questions or concerns. Blue Microphones Snowball USB Microphone is my favorite and SO easy to use. You will need a Lightening to USB adaptor to use the mic with your iPad. Want to know the best stylus or keyboard case and other minor but essential accessories? Need a mount for your iPad to take pics and videos? Click here for the story and to order yours now. Need a keyboard that works well with the iPad? 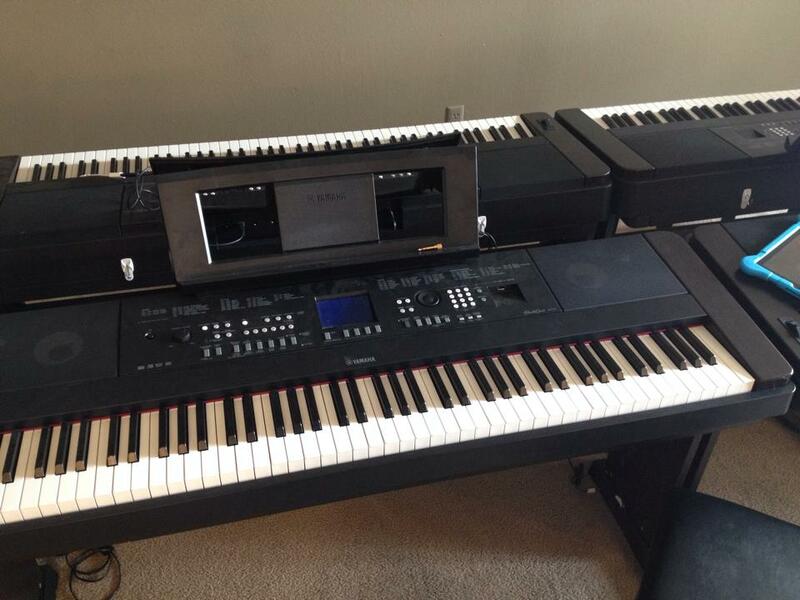 A Clavinova or The Yamaha DGX – 650 series. 7) Need tips for using your blue tooth pedal to turn pages on your iPad? Click here for extra tips. I teach on line also. In lie of ducktape:To hold the camera on the boom stand I purchased a clip that is probably made to hold a microphone. It fits on the end of the book and has a clam shell clip to hold my camera. didn’t cost much. It gave be adjusted for different angles. I have my eye on a clip or two, but in a pinch duct tape has worked quite well. Hey very cool blog!! Guy .. Beautiful .. Wonderful .. I will bookmark your site and take the feeds additionally? here within the put up, we need work out more techniques on this regard, thanks for sharing.